Today’s bike club ride was another celebrity grave tour. 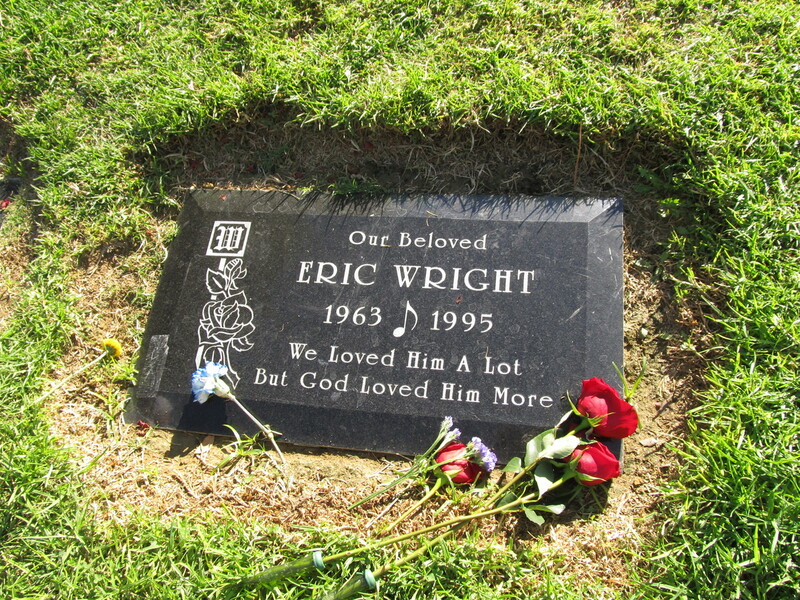 Since we’ve all gone to see “Straight Outta Compton” and liked it, today’s ride was a visit to Rose Hills Cemetery in Whittier to visit the grave of Eric “Eazy-E” Wright. It was a nice day for riding when we set out in the morning. 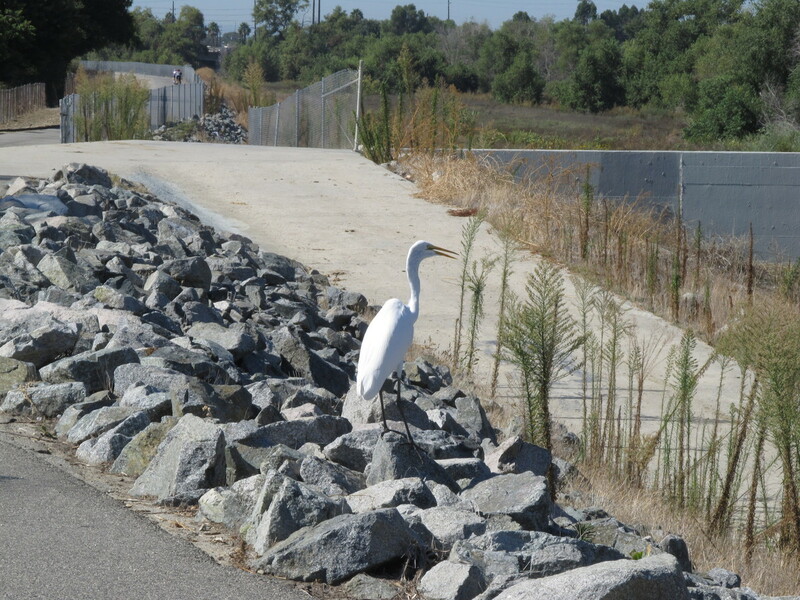 We rode down to the Rio Hondo bike path, and took that all the way to Whittier Narrows. 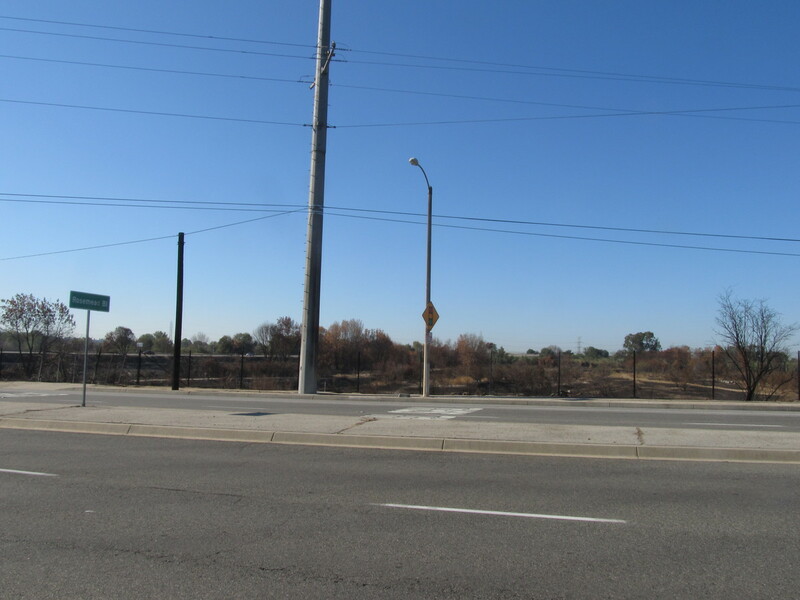 Carla told me that there had been a brushfire there recently, and sure enough, a large area down there was burned. 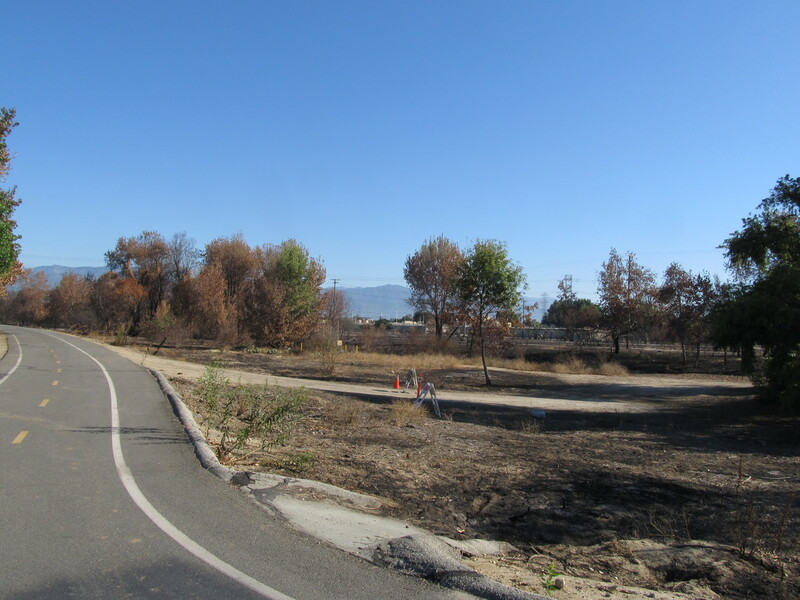 It looked like the fire went through fast, since all the low brush was burned, but the trees had not burned. Still, it looked pretty bad there. Heading east, we went over to Workman Mill Road and the main entrance to the cemetery. The guy in the information booth gave us directions on how to get there. It sounded simple enough. Just go up the main road and turn left at the sixth street. Little did we know that that meant a mile in and 500 feet up. Wow. That was a hard climb. But up there on the hill, we found Eric Wright. His grave is obviously visited a fair amount, judging by the grass around it. So he still has fans to this day, which I think is well-deserved. He did make a pretty big contribution to our culture. 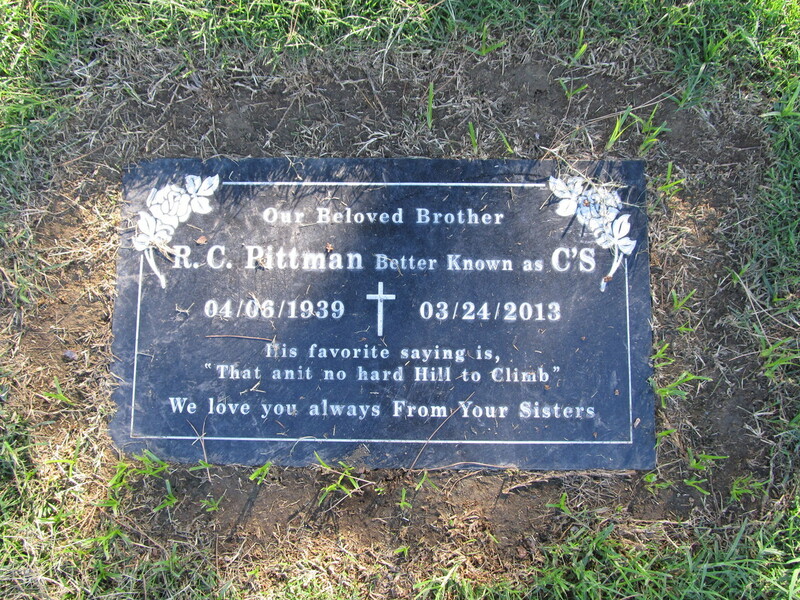 While we were up there, we also noticed another nearby grave which said that its owner’s favorite saying was, “That ain’t no hard hill to climb”. Which was funny, since it was a hard hill to climb to get up there. And also, because there’s a typo on his stone. D’oh. 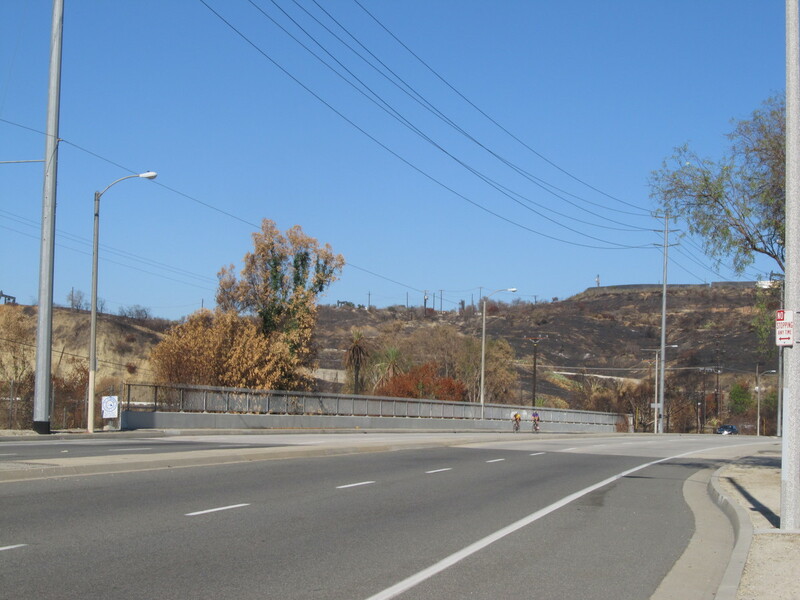 Back at the bottom of the hill, we headed south in to Whittier, making a loop to get back to the San Gabriel River bike path. The plan was to take that all the way up to Irwindale. By then, it was starting to get hot. And the trail is uphill going that way. And we had a headwind. A hot headwind. By the time we got to Arrow Highway, we were all suffering, so we got off to go get some cold drinks. I found a Subway and got a big iced tea. Just drinking that cold liquid just felt so good. We stayed there for a while to cool off and rest. Then we decided to head home by the shortest route possible. The last part of the ride began to resemble the Retreat from Moscow. But we made it home all right. Which was good. Napoleon’s army had horses they could kill and eat, but we can’t do that with our bikes. Route map and elevation profile.